One hit target on the Kamchatka Peninsula, the other exploded. 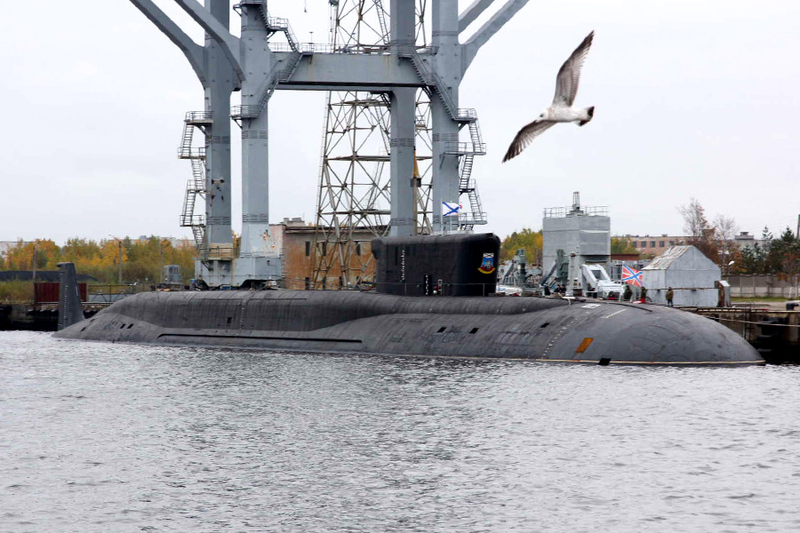 On Monday, the Barents Observer reported that the Russian ballistic missile submarine “Yury Dolgoruky” was sailing out from Severodvinsk Sunday morning, likely for the first launch of a Bulava missile since November last year. 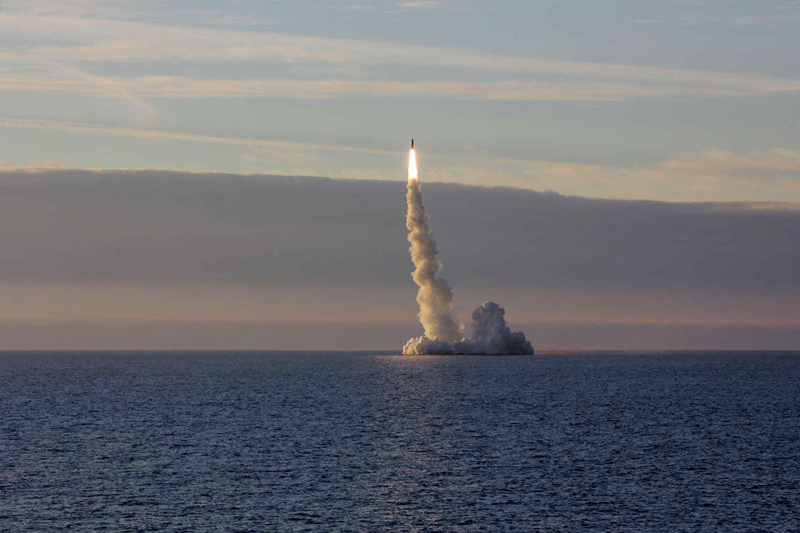 Tuesday night, Russia’s Ministry of Defence reported that not only one Bulava, but two were launched while the submarine was in submerged position in the White Sea. News agency TASS reports that both missiles in the double salvo came out of the tubes and started their first stage towards ballistic paths. The first missile hit the target on the Kura testing range on Kamchatka, while the second missile “Self-destructed after completing the first stage of the flight,” TASS quotes the Defence Ministry saying. It is not clear why the second missile self-destructed after the first stage of its boosting rocket was completed. The Bulava missile has a history as very unreliable. Including today’s tests, only 12 out of 27 tests-shootings are successful. Developments of the Bulava missile started in the late 1990s and first launch took place in 2004. Bulava is supposed to be the future cornerstone of Russia’s nuclear triad, and is the most expensive weapons project in the country. The missile, named SS-N-32 by NATO, has three stages with a projected range around 8,000 kilometers and can carry up to six individual targeted nuclear warheads. The Norwegian intelligence-gathering vessel “Marjata” is currently sailing the eastern Barents Sea keeping track of Russian naval activities. According to social media channels, also American RC-135S Cobra Ball surveillance aircrafts have been active in the north lately. “Yury Dolgoruky” is currently the only Borei-class ballistic missile submarine sailing for the Northern fleet. The two other operational Borei-class subs, “Aleksandr Nevsky” and “Vladimir Monomakh” have both crossed the Arctic and are now based with the Pacific fleet. Russian Ministry of Defence has published a series of photos in connection with the Bulava-missiles launched on Tuesday.